Alpha Electric is Houston’s health systems and hospital electrical contractor provider with services arranging from new construction, to repair to upgrading electric networks. Alpha Electric has a presence in most local Houston hospitals. 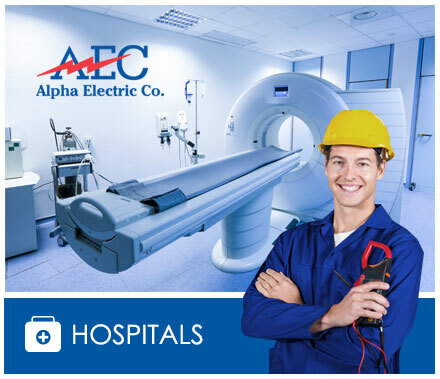 Understanding that reliability is important, Alpha Electric offers quality workmanship with backup services in place while working in healthcare facilities. We bid new hospital projects as well as assist in the remodel of existing construction. Alpha Electric offers right on target electrical contracting solutions to either existing blueprints or from ground up constructions or expansions. We take pride on our electrical services and attention to detail to minimize set backs and stay on top or our customers deadlines.